Today, millions of Americans gather nationwide with family and friends to take a day off to be grateful for everything they have. There has been a lot of discussion about the Syrian refugees that will be arriving soon in America due to the dire situation in their homeland. Conservative groups are working in overdrive to creating fear in their constituents, many of whom are byproducts of America’s previous immigrants and refugees. As we gather around the Thanksgiving table today, let’s all think about our 16th President Abraham Lincoln stressing the importance of new blood in making America awesome. New blood that had given us Steve Jobs and Jerry Seinfeld, both children of Syrian refugees. Here is an excerpt of the Presidential Thanksgiving Proclamation issued on October 3rd, 1863 from Mr. Lincoln. Once you enjoy your traditional Thanksgiving meal, feel free to gather around the tv afterwards to check out any of these movies about refugees. 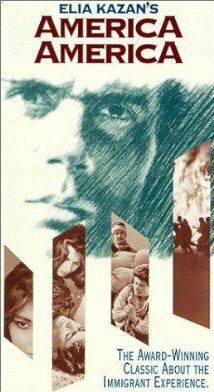 I love Arab and all other movies and find them a great resource for conversation. I gathered 75 here, but there are 636 titles with the keyword ‘refugee’ on IMBD. Have an honest conversation with those around around you about the true meaning of this holiday. Being grateful that as refugees, our pilgrim ancestors were accepted by the Native Americas. In a decade, tiny Brooks, Alberta has been transformed from a socially conservative, primarily Caucasian town to one of the most diverse places in Canada. Immigrants and refugees have flocked here to work at Lakeside Packers ‐one of the world’s largest slaughterhouses. This film is based on the true story of the five‐year‐old Cuban boy who is the sole survivor of a refugee boat that sunk in a storm on its way to the U.S. Documents the difficult transition of three of the “Lost Boys and Girls” of Sudan to lives in Seattle, Washington. This film tells the story of the Zimbabwean refugees who spoke out against the regime of terror under which they lived. These brave people were tortured electrocuted and left for dead. Filmmakers Taran Davies and Walied Osman set out to gain an understanding of how a generation of war has affected the Afghan people, spending time with families in Queens, New York, the frontline in Afghanistan, and points in between. In Spring 1980, Fidel Castro opened the Cuban port of Mariel to thousands of refugees to cross to Key West, Florida and the promise of a new life in the U.S. Director Jim Burroughs and his crew boarded a flotilla vessel bound for Mariel to film the exodus. Burroughs charts the lives of three individuals during their first years in the U.S.
After escaping the Khmer Rouge in Cambodia, the Ny family became one of thousands of refugees faced with resettlement in the U.S. Their lives unfold through the lens of this stirring video diary, which sees 18‐year‐old Sokly Ny (Don Bonus) struggling to graduate from high school. One of director Elia Kazan’s most personal, moving and satisfying films, based on his own novel about his uncle’s experiences, America, America recreates the journey of a Greek youth fleeing Turkish oppression via Constantinople at the end of the 19th century to fulfill his cherished dream of passage to the promised land, America. 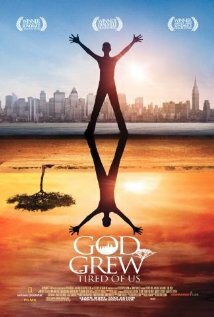 Winner of the Grand Jury Prize and the Audience Award at the 2006 Sundance Film Festival, God Grew Tired of Us explores the spirit of three Sudanese young men who leave their homeland, triumph over adversities, and move to America. A Requiem for Syrian Refugees is a poignant journey of survival, resilience and empowerment. Three people arrive in Canada and face the Refugee Board. Baaba Andoh fled Ghana in fear for her life, when her long‐lost father tried to force her to undergo female genital mutilation. Arriving in the U.S. with a phony passport, she was imprisoned by the INS for one year while her asylum case was tried. Her story ends in victory, but she refuses to forget the thousands of asylum seekers who remain in detention today. In London, during October 1993, England is playing Holland in the preliminaries of the World Cup. The Bosnian War is at its height, and refugees from the ex‐Yugoslavia are arriving. The lives of four English families are affected in different ways by encounter with the refugees, and one of the families improbably becomes involved with a Balkan refugee through the England vs. Holland match. Becoming American records the odyssey of Hang Sou and his family, as they travel from Laos to a refugee camp in Thailand to a new home in Seattle. Being Hmong Means Being Free highlights the history, culture and identity of the Hmong immigrants who have settled in the United States between 1975 and the early 1990s. The documentary looks at Hmong life in this country as seen through the eyes of the program host, seventeen year-old Lia Vang. A Laotian community in Rockford, Illinois survives terrorist bombings and drive‐by shootings at its local Buddhist temple. 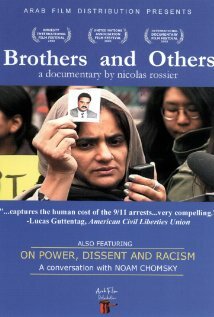 Brothers and Others follows a number of immigrant and American families in the U.S. following September 11, 2001. In interviews with Arab and Muslim immigrants, government representatives, and legal and historical experts, this film explores how America’s fear of terrorism has negatively impacted many U.S. residents. This film takes us inside the mind of Ricky Phan, once a gang leader in Southern California and now serving an 11‐year sentence for armed robbery. We are forced to ask ourselves which is more violent: fleeing from a war‐ravaged nation or trying to survive in an alien western culture? Musicians from Africa, the Balkans and Iran are touring Germany with german songwriter Heinz Ratz and his band. What makes this project special is that most of these musicians are asylum seekers. In Germany refugees like them are subject to special laws that limit their freedom of movement, their ability to get a job, to choose their place of residence, their groceries or clothing. They live in special facilities and are fenced off from rest of the German population. With few points of contact things have remained this way for decades. The concert-tour breaks that pattern and for the group the project offers an opportunity to overcome this crushing isolation through music. By means of a musical documentary about the band the film “I can’t be silent” will bring light to the living conditions of asylum seekers. Dwayne and his older sister Mai are adults: Mai is married to Vinh, Dwayne is about to propose to Nina. Twenty‐two years ago, when Mai was 10, she and Dwayne were refugees in Vietnam, adopted by Harold and Dee Williams, African‐Americans from Los Angeles. When Mai locates their birth mother, Thahn, and she arrives in Los Angeles, tensions reach the breaking point. A former politician wants to force media attention for refugees, who have to leave their asylum, by faking his kidnapping. The film follows Haris, an Afghan‐American artist who shows his work at a downtown Manhattan art gallery. His story explores the ramifications of leaving Afghanistan and living as a refugee in America. Haris embarks on a journey through the world of Afghan‐Americans to learn more about their culture, finding humor and tragedy. In 1966, at the age of nine, Deann Borshay came to the U.S. from South Korea as one of tens of thousands of children adopted by white American families after the Korean War. In this extraordinary personal documentary she chronicles her struggle to reconcile the demands of two families, two cultures and two nations. This three‐part documentary follows two families on their way from Kosovo to the primitive conditions in a refugee camp in Macedonia to resettlement in Randers, Denmark. Traces the lives of three refugees from Kosova who arrived at Fort Dix, New Jersey in 1999. With footage from the U.S. and Kosova, the documentary examines the process of assimilation into American society. This film portrays a day in the life of those living in the still-extant Jezevci refugee center 20 years after the Bosnian War. Walt Kowalski is a widower who holds onto his prejudices despite the changes in his Michigan neighborhood and the world around him. Kowalski is a grumpy, tough‐minded, unhappy an old man, who can’t get along with either his kids or his neighbors, a Korean War veteran whose prize possession is a 1972 Gran Torino he keeps in mint condition. 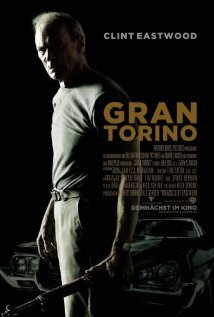 When his neighbor Thao, a young Hmong teenager under pressure from his gang member cousin, tries to steal his Gran Torino, Kowalski sets out to reform the youth. Drawn against his will into the life of Thao’s family, Kowalski is soon taking steps to protect them from the gangs that infest their neighborhood. In the late summer of 2006, filmmakers Eddy Moretti and Suroosh Alvi traveled to Baghdad to meet and interview the only heavy metal band in Iraq, Acrassicauda. “Heavy Metal in Baghdad” is the story of the band and its members, young Iraqis whose lives have been distorted and displaced by years of continual warfare in their homeland. 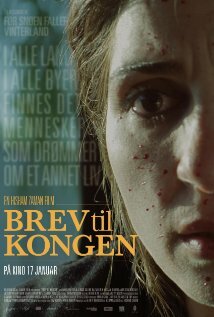 The filmmakers have collected glimpses into the struggles of Acrassicauda as they try to stay together and stay alive. The International Rescue Committee has been working to resettle the members of Acrassicauda since last summer. Nearly three years after fleeing Iraq and living as a refugee in Syria and then Turkey, heavy metal drummer Marwan Riyadh stepped off an airplane at Newark Liberty International Airport on January 30, 2009. The film chronicles the work of the International Institute of Rhode Island as it guides and empowers a group of Kunaman refugees making the transition from life in the Shimelba Refugee Camp in Northern Ethiopia to their new home in America. 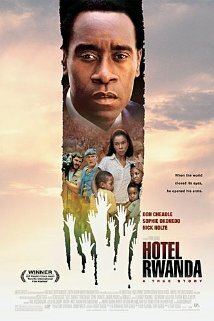 This Academy Award nominated film tells the true-life story of Paul Rusesabagina, a hotel manager who housed over a thousand Tutsi refugees during their struggle against the Hutu militia in Rwanda. A dramatization of one man’s rescue of Jewish refugees in the Nazi-occupied Polish city of Lvov. The story of two Afghan cousins who trek from a refugee camp in Pakistan to London, where relatives await them. In 1938 and 1939, about 10,000 children, most of them Jews, were sent by their parents from Germany, Austria, and Czechoslovakia to the safety of England where foster families took most of them in for the duration of the war. Years later, eleven children, one child’s mother, an English foster mother, a survivor of Auschwitz who didn’t go to England, and two of the kindertransport organizers remember: the days before the Nazis, saying farewell to family, traveling to England, meeting their foster families, and trying to find families after the war ended. 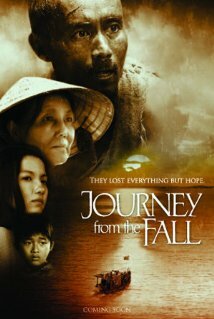 The film debut of director Ham Tran, Journey from the Fall follows a family during the fall of Saigon, right after the Vietnam war, in 1975. Urged by her husband (Long) to flee for America, a mother (Mai) and her family, which consist of her two small children and her mother, settle in Northern California. After fleeing from Saigon on a small boat and being separated from her husband for six years, Mai struggles with helping her now older children get use to their new life in America. Joseph and Perpetua Alfazema are refugees from Mozambique who live in Victoria, Canada. They are determined to start a school in Joseph’s home village and, against all odds, they raise money for the school and begin a long journey. Seventeen year‐old Kelly Saeteurn has a dream – an “American dream.” Just out of high school and on her way to college, Kelly envisions a rosy future. Kelly is the first in her family of Iu Mien refugees from Laos to have accomplished as much as she already has, but she encounters grave obstacles in the course of pursuing her dream. A compelling look at life in San Francisco’s Tenderloin district for Laotian and Cambodian youth. Letter to the King portrays five people on a day trip from a refugee camp to Oslo, a welcome change in an otherwise monotonous life. But we soon realize that each and every one of them has an agenda for their trip. All five will make decisive choices on this day, as they discover happiness, humiliation, love or fulfill a long-awaited revenge. The five stories are tied together by a letter, written by eighty-three year old Mirza. Mirza wants to hand over the letter to the King personally. An Emmy‐nominated feature‐length documentary that follows two Sudanese refugees from Sudan and Kenya to the U.S. Winner of an Independent Spirit Award and two Emmy nominations. Madrasa is based on true story about Afghan refugee family living in Iran after war in Afghanistan. 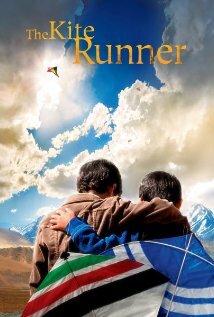 The film portrays an innocent 8 year old Afghan girl Meena who wants to go to school, but circumstances and law in Iran don’t allow her to do so. Her father Farhad goes every extent so that his daughter can go to school and fulfill her dream of becoming a doctor. The story reaches a point where everything seems impossible but courage, love and sacrifice makes its own statement. Moving to Mars follows two refugee families from Burma over the course of a year that will change their lives completely. Uprooted from their homeland by the repressive military junta, they are forced to live in a Thai refugee camp for many years. A resettlement scheme offers them a chance to a new life, but their new home, in the British city of Sheffield, will be different from everything they have ever known. An official selection of the Human Rights Watch Film festival, the documentary is a moving story of a West African mother’s fight for asylum in the US to protect her two‐year‐old daughter from female genital cutting. This documentary, filmed in the remote northeast mountains of China, captures the dire circumstances of North Korean refugees who journey to China. “One Family” tells the story of twelve youth from Sierra Leone, Bosnia, Burundi, and Serbia who have weathered war and long journeys to America, and New York City. Weaving their voices into a shared story, they reflect their views on themselves and the whole world, joined as one family. 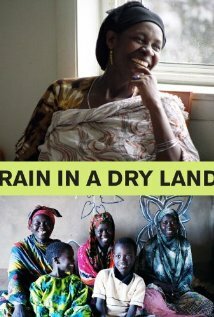 An official Selection of the Human Rights Watch International Film Festival 2006, the film chronicles two years in the lives of two Somali Bantu families who leave Kakuma refugee camp for Springfield, Massachusetts and Atlanta, Georgia. Vietnamese refugees speak about the loss of family and friends, migration and feelings about their war torn homeland. The program offers three individual perspectives from the Vietnamese Diaspora. In this film, three young refugees raised in San Francisco’s Tenderloin district, journey to Cambodia. An inspirational story of a Liberian refugee, Roosevelt Henderson, who resettles in Chicago from Liberia attempts to reunite with his wife and young daughter, who are still in Liberia. Winner of numerous awards at the Columbus International Film and Video Festival, the San Francisco Black Film Festival, the Cleveland Film Festival, and other venues. This film is a personalized account of Tibetan refugees attempting to maintain their ancient culture in exile while using nonviolent means to bring peace and freedom to their homeland. “Shadow Over Tibet” investigates the personal odyssey of Norbu Samphell, a Tibetan immigrant now living in the U.S., who is determined to become part of the American social fabric without abandoning his cultural heritage; and the Dalai Lama, religious and secular leader of Tibet‐in‐exile, who seeks to create a “zone of peace” in Tibet. Chronicles a band of six Sierra Leonean musicians living in a refugee camp in Guinea. Sierra Leone’s Refugee All Stars chronicles the band over three years, from Guinean refugee camps back to war‐ravaged Sierra Leone, where they realize the dream of recording their first studio album. Snowdrop is a short film telling the story of a group of refugees trying to cross the EU border. It’s about hope and dreams but also about real life tragedy. And eventually it’s a film about the pursuit of happiness and it’s power. During the Vietnam War, the US government waged its own secret war in the neighboring country of Laos. When the US withdrew, thousands of Laotians who fought alongside American forces were left behind to face imprisonment or execution. One family, the Phrasavaths, made the courageous decision to escape to America. Hoping to find safety, they discovered a different kind of war. 28-year-old Kansas University doctoral student Omar Razaghi wins a grant to write a biography of Latin American writer Jules Gund. Omar must get through to three people who were close to Gund–his brother, widow, and younger mistress–so he can get authorization to write the biography. This documentary takes a look at a Swiss registration and processing center for asylum seekers. It follows the lives of the residents and the staff and immerses us into the heart of this “daily sorting process of human beings”. After spending years in California, refugee Amir returns to his homeland in Afghanistan to help his old friend Hassan, whose son is in trouble. In the wake of 9/11, a firestorm erupts when the mayor of Lewiston, Maine sends a letter to 1,100 newly arrived Somali refugees advising that the city’s resources are strained to the limit and asking that other Somalis not to move to the city. Interpreted as racism by some and a rallying cry by white supremacist groups across the U.S., The Letter documents the crossfire of emotions and events. Orphaned by the war in Sudan and raised in a desert refugee camp, Moses and his young friends are one day invited by the U.S. government to start a new life in Boston. For around ten years, natural disasters have been occurring more frequently, causing widespread destruction; yet industrialized countries still refuse to implement or persist in doubting the actions they must take to reduce greenhouse gas emissions, and fail to revise their policies for economic growth. Decisions taken high up directly affect the way of life of thousands of people, in Canada and elsewhere. In 2003, the United Nations indicated that for the first time in history, environmental refugees (25 million) outnumbered those fleeing from war or political persecution (23 million). And their numbers keep on increasing. Laurent van Horn is the leader of a band of Dutch refugees on a ship seeking freedom in the Carolinas, when the ship is wrecked on the coast of Cartagene. governed by Don Juan Alvardo, Spainish ruler. Follows the emotional saga of Paja Thao, a Hmong shaman and his family in the U.S. who were transplanted from the mountains of Laos during the Vietnam War to America’s heartland. For over seventeen years, Siegel has chronicled the intimate and private lives of Paja Thao, his wife, and their thirteen children. This intimate family portrait explores universal issues of cultural transformation, spirituality and family. It is a rare close‐up view of one Hmong family’s resettlement and acculturation in America. 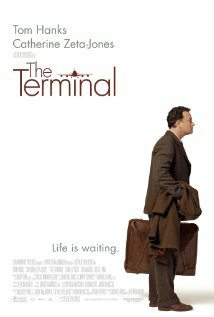 This 2004 movie about immigration by Steven Spielberg stars Tom Hanks as Viktor Navorski, a man from Krakozhia, a fictional Eastern European country. During his flight to America, the Krakozhian government was overthrown, rendering Viktor’s passport invalid. Unable to legally enter the US or get a flight back to his war-torn home, Viktor sets up camp in an under-construction terminal of New York’s JFK airport. A real‐time war documentary made in the middle of the Kosovo ethnic conflict, the piece was filmed in 1998 in Drenica Valley where the Albanian Kosovo Liberation Army (KLA) had its base. The film documents interviews with people on both sides of the conflict. A dramatization of raid to capture a suspected militant by the Israeli Defense Forces during the Second Intifada into the sprawling maze of the Balata Refugee Camp in Palestine. “TL Xmas” follows Cambodian youths as they attend a “Gift Giveaways” program and experience the holiday for the first time. “School Daze” humorously breaks down a day in the lives of six students from different San Francisco high schools. “Home” closes the package with nine youths’ tender, poetic dedication to their family, friends, and San Francisco. Near the Iraqi-Turkish border on the eve of an American invasion, refugee children like 13-year-old Kak (Ebrahim), gauge and await their fate. War Child (2008) Christian Karim Chrobog, 94 minutes The film documents the story of Emmanuel Jal, a former child soldier of Sudan’s civil war. He is now an emerging international hip hop star sharing a message of peace for his war‐torn land and beloved Africa. Set in civil war‐ravaged Northern Uganda, this Best Documentary Oscar nominee follows the lives of three youngsters who attend school in a refugee camp and find hope through song and dance. Coming from a world in which children are abducted from their families and forced to fight in the rebel army, these kids give it their all when they travel to the capital city to take part in the prestigious Kampala Music Festival. This documentary film directed by Rebecca Camisa follows the dangerous journey unaccompanied migrant children from around the world take as they travel through Mexico to the US. Seen through the eyes of several main characters, “Which Way Home” showcases these stories of hope and courage, disappointment and sorrow. They are the ones you never hear about – the invisible ones. Conversations with several people on the Greek island of Samos about the refugee crisis on the European border.